Macmillan: On Friday morning, you are invited to support the Macmillan Biggest Coffee Morning. Northiam will be taking part, holding their coffee morning in the Church Centre (opposite Douglas Moloney’s) from 10-1 on Friday 28th September. I think this is a charity very close to all of our hearts, so do pop along if only for a few minutes. Badminton: Badminton clubs meet in the Pretious Sports Hall on Fridays at 7.30pm or Mondays at 5.45pm. Both are suitable for beginners or returners to the sport, and are happy for you to just turn up. Rockitmen: Rockitmen return to the Village Hall on Saturday 29th September. Tickets are £10, available from Margaret 253112. Bring your own drink (although there will be a large drinks raffle). Tickets are £10 and the doors open at 7pm. 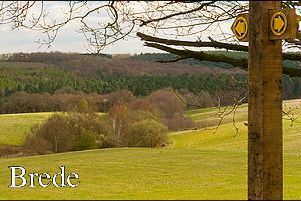 Footpath Walk: Join the Footpath Group on Sunday for a 5 mile ramble in Rolvenden. Meet in Northiam surgery car park at 1.45pm for a 2pm start at Rolvenden church. Bonfire: Yes, as we approach October, we can start thinking about bonfires and fireworks! Northiam’s Procession will be on Saturday 20th October, and we are holding a Guy competition again this year. Please make your Guy and put it where it can be seen (safely). Judging will be on the Village Green on the morning of the Bonfire, with prizes generously donated by Douglas Moloney. We look forward to seeing an interesting display.